Order in the next 38 minutes and it will ship today! Wedding Sparklers! 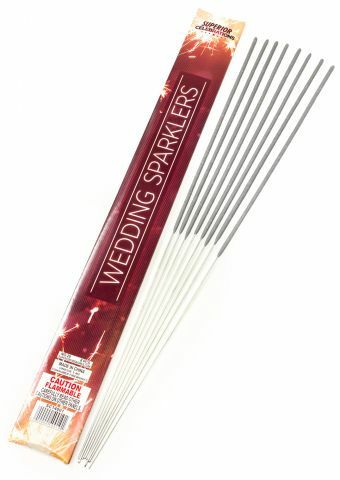 These sparklers are perfect for passing out at your wedding or reception! Each sparkler features wire-core construction, an easy-light tip, burns almost smokeless with a gold color for about two minutes, and is 20 inches long. Each pack contains 72 sparklers. Our wedding sparklers come in attractive, wedding-themed packaging that is exclusive to our company, and cannot be purchased elsewhere. We meticulously designed every detail to ensure that your sparklers arrive safely and look great. 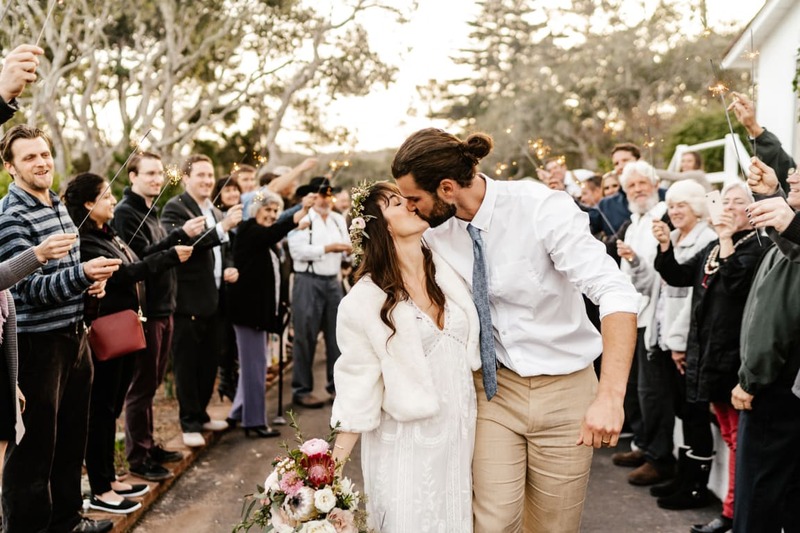 They're the perfect wedding day sparklers! 99.5% of respondents would recommend this to a friend. Perfect for the occasion and excellent for the extra photo time. Can't wait to use these in 2 weeks! These lit relatively easily and were a hit! I'd buy from them again! I'd buy from them again! Loved it! Came in a speedy manner! Definitely would buy from them again! Definitely would buy from them again! Bought these for my wedding. Great customer service and product! Haven't gotten to use the product yet, as they are for a wedding later this month, but shipping was fast, price is amazing, and website is very easily navigated! Great for wedding send off! Great for wedding send off! Used for a sparkler send off at my daughter's wedding. They burned just long enough! It was beautiful! Worked great! They lasted plenty long enough for 120 people to get theirs lit, for us to exit among them, and then some. It just about dusk when we did ours and it still made a great impression. amazing, fast shipping ! amazing, fast shipping ! Great for weddings & fast shipping. Good product. Excited to use it for the wedding. Excellent product for an outside New Year celebration. Did exactly what they said they would do! Did exactly what they said they would do! Did exactly what they said they would do! Can't wait to use them for my wedding. I have bought these twice and love them! I have bought these twice and love them!